First Listen: Moderat, 'II' In their second collaboration, dance music duo Modeselektor and electronic producer Apparat make dramatic sounds for the mind and the body. The German dance music duo Modeselektor makes music that can knock your head off its axis. Electronic producer Sascha Ring, better known as Apparat, has made the kind of stuff that buries your heart deep in your gut. Moderat, the project that unites these two seemingly disparate energies, finds a sweet spot that resonates with both body and mind. With three cooks in the kitchen, it's not always easy finding something to suit everyone's taste, as Apparat explain in this interview with FACT Magazine. But there's little evidence of clashing palates on II. 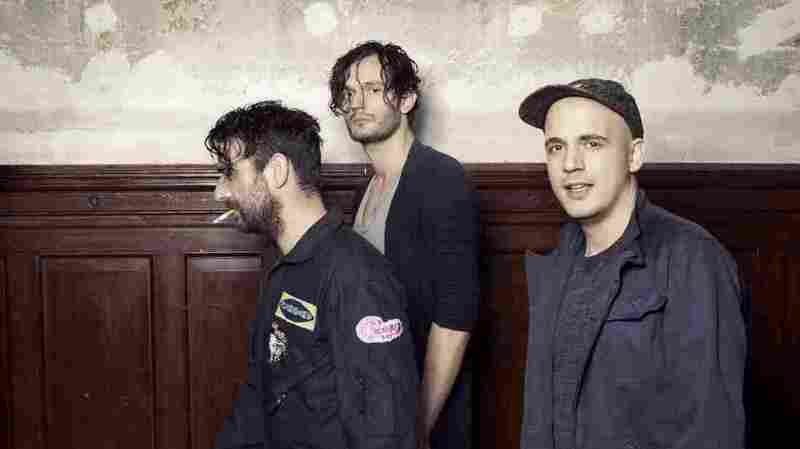 Throughout the album, Apparat's vocals gently drape the broken rhythms found in so much of Modeselektor's music, but they also work as more than just texture. On the first single, "Bad Kingdom," we hear flooding bass enter the mix with a blown-out top half, and as sustained pads linger in the background, Apparat fits a funky string of lines between the beats, opening his cadence to reveal a drama-doused hook. Drama is what II does does best, and nowhere is it bigger than on the last track, "This Time." A back and forth dance between delicate organs and dazzling synths, buffered by pitch bending curveballs that mold energy like putty. Moderat's II, like the first record, blends the best of two giants in electronic music into something both brawny and graceful.